Leading subsea, offshore and life support service provider Unique Group plans to offer its hyperbaric oxygen treatment chambers and life support equipment expertise to medical centres, hospitals and refineries across Europe. Unique Group is a global leader in the diving and life support industry, regularly supplying the industry with hyperbaric chambers, servicing and support across Europe, the Middle East and South East Asia. The company now intends to manufacture and support medical hyperbaric treatment facilities across Europe from its base in Rotterdam and has started to assemble a world class team of engineers to be able to produce these chambers, providing bespoke facilities for medical centres and hospitals that are investing in hyperbaric treatment. The company further intends to provide innovative long term payment structures to allow for this technology to grow in Europe. Hyperbaric chambers, traditionally used to treat divers at risk of, or suffering from, decompression sickness, are increasingly used in mainstream medical treatment. Hyperbaric oxygen therapy can be used to treat a range of conditions, such as carbon monoxide poisoning, crushing injuries, non-healing wounds and more. Harry Gandhi, founder and CEO of Unique Group, said: “We’re the largest supplier of diving life support equipment in the world, with a global reach through our offices spanning nine countries. "Decades of developing and working with hyperbaric chambers and their component parts mean we are experts in this field; it makes sense to expand into the healthcare sector, where the use of intense oxygen therapy is growing." "As well as developing bespoke, patient-friendly chambers, we can advise medical professionals on the best equipment for existing facilities and provide 24/7 technical support across Europe from our base in Rotterdam." "A hyperbaric treatment facility is a significant investment for a healthcare organisation: Unique Group has the knowledge, expertise and flexibility to provide the very best quality and support." Unique Group has global life support expertise. 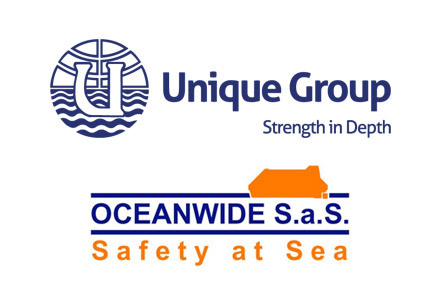 In 2015, it acquired Oceanwide SAS based in Rotterdam.